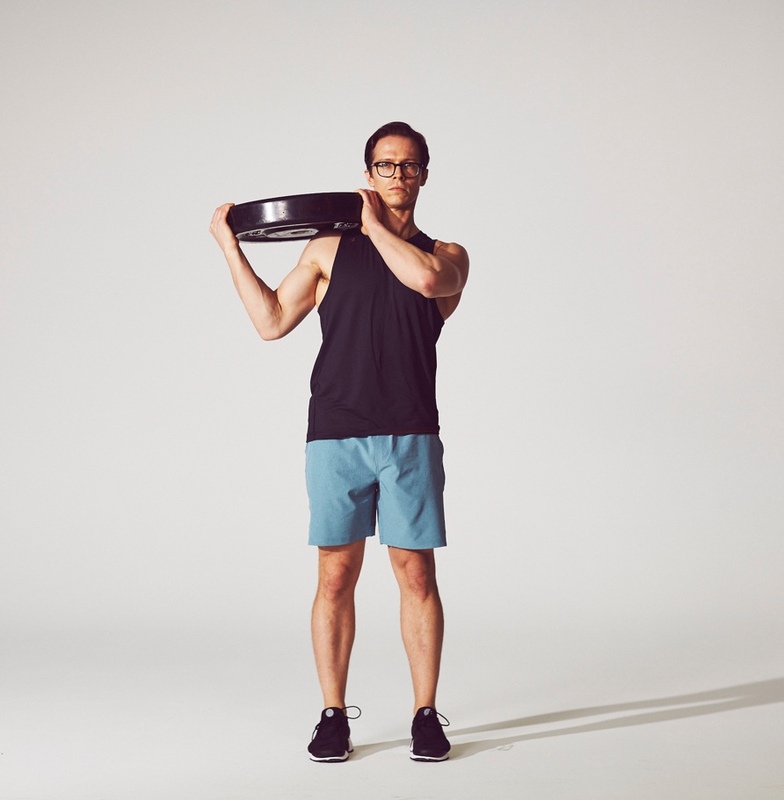 “Carries are one of our basic human movements,” says Justin Jacobs, the complex tier X manager for Equinox New York City and the UK. “They are one of the most practical exercises in our training arsenals." 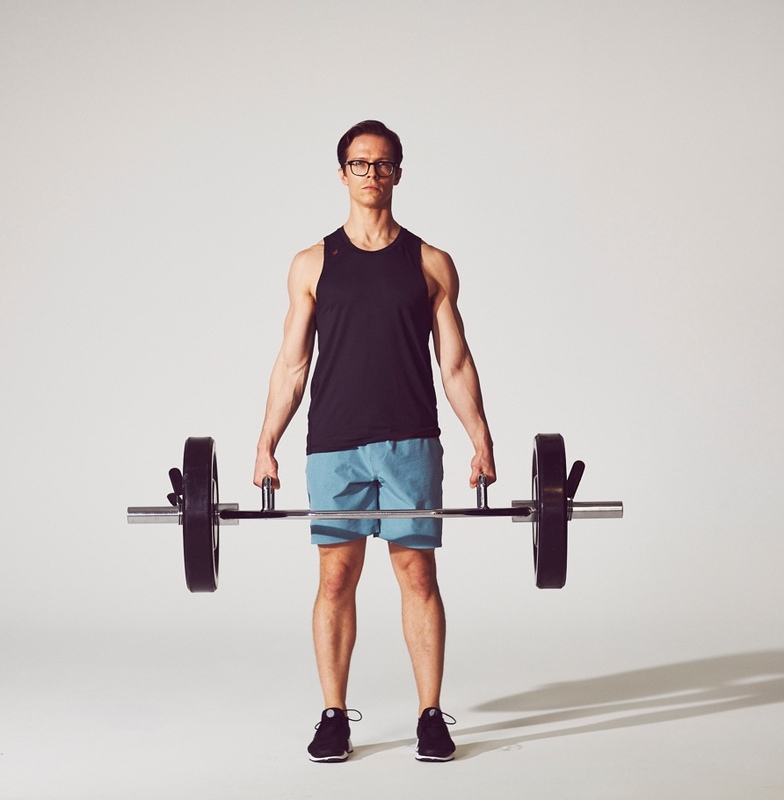 Because of this, Jacobs looks to include some variation of a carry in all resistance training workouts (though he advises limiting them to three days a week if you strength train more frequently). 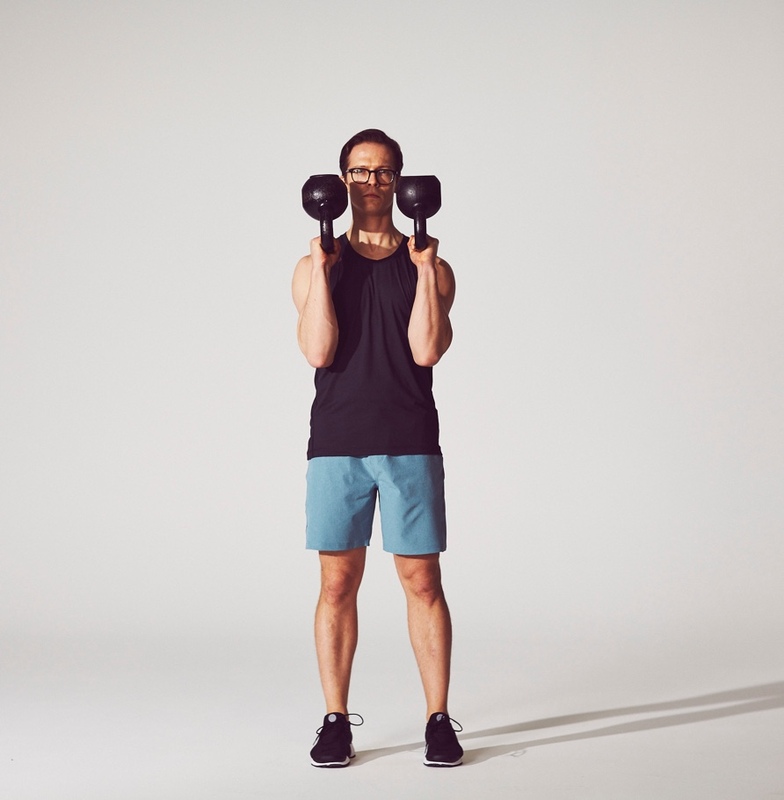 Beyond the functional perks: “It’s hard to find an exercise with as much bang for your buck physiologically.” Carries, Jacobs notes, build total-body strength, grip strength, core stability, muscular endurance, and are metabolically challenging. But, there’s more than one way to do a carry. 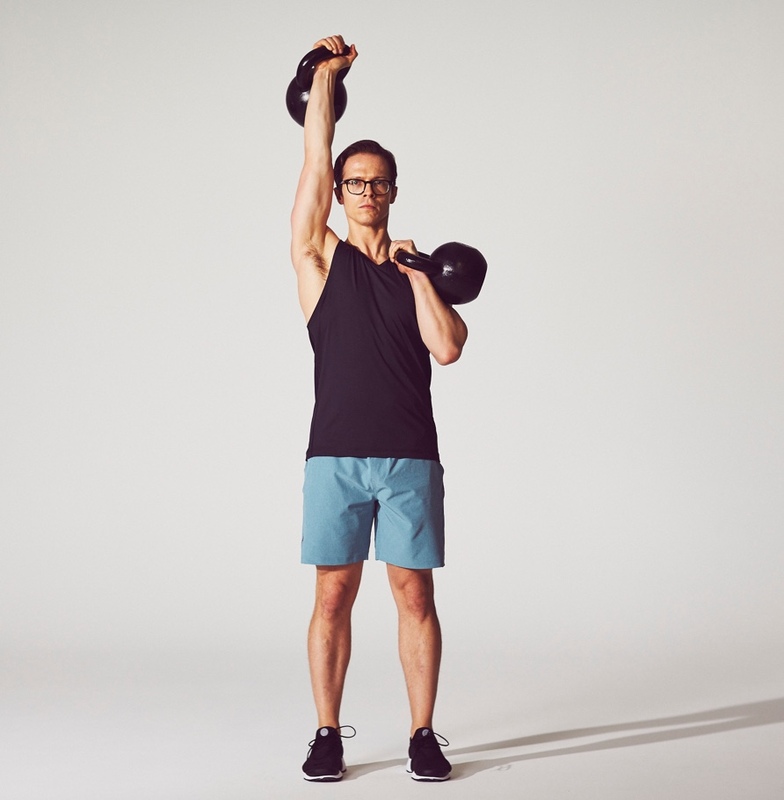 The below moves call for a kettlebell, sandbag, or a bar; but Jacobs notes that the exercises can be done almost anywhere using anything from a rock to a book bag. For each of the below carries, which can be mixed in to any routine one or two at a time, follow Jacobs’ cue: “Stand tall like you were at a concert and there was a tall person in front of you and move silently like a ninja.” In terms of distance and speed, go at your own pace. 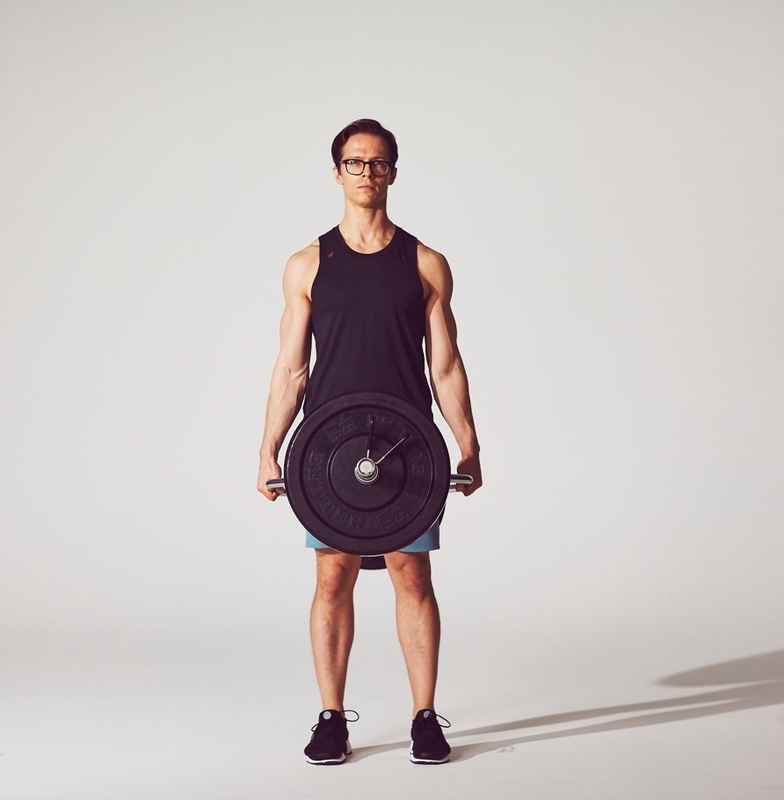 “I hesitate to say for how far or how long to carry because it will vary and it will change with the load and as you get stronger,” says Jacobs. A good rule of thumb, though, is to put the load down when you feel like you've got five to 10 more seconds left in you. "Three sets (on both sides when necessary) of this should be sufficient for most athletes,” he adds. 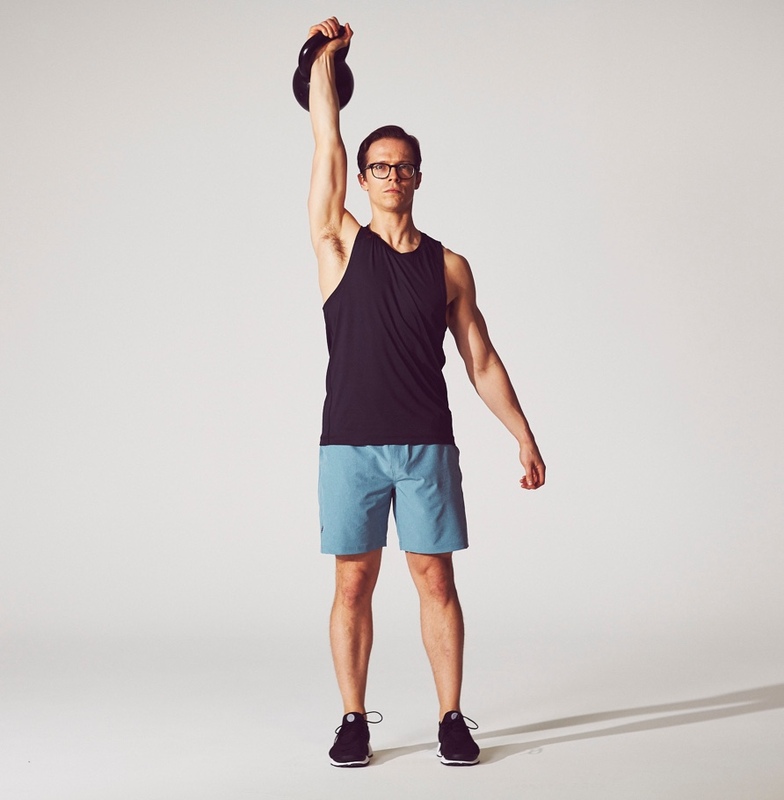 Press one kettlebell from the rack position to over your head. Begin to walk, keeping your opposite arm at your side. When complete, bring the bell back to the rack position before bringing it to the floor. Repeat on the other side. 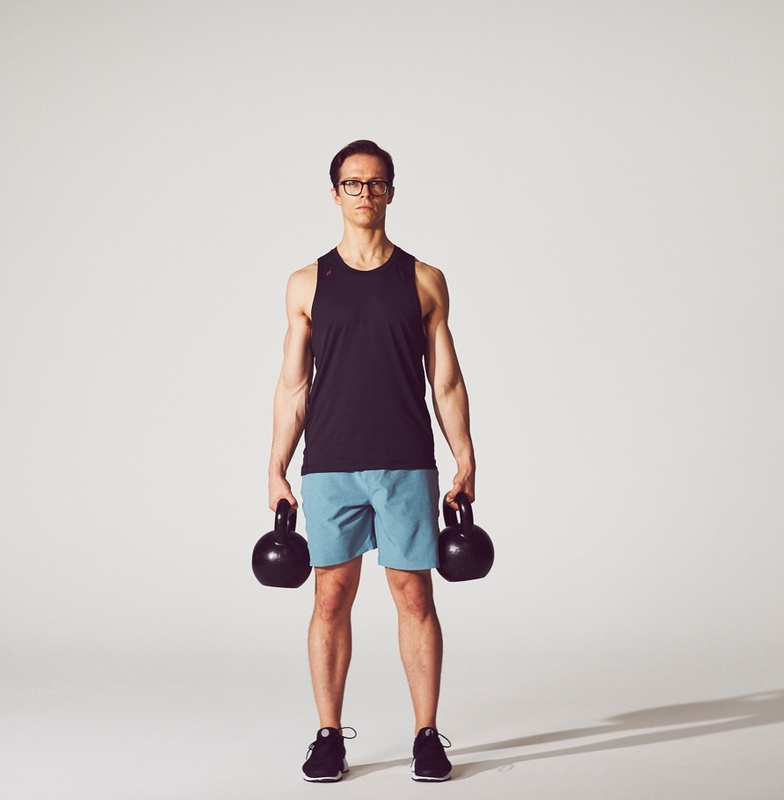 Pick up two bells of equal weight from the floor, one in each hand. Carry the bells at your sides and walk. Try to keep the bells at your sides the whole time. When complete, place the bells on the floor outside of your feet. 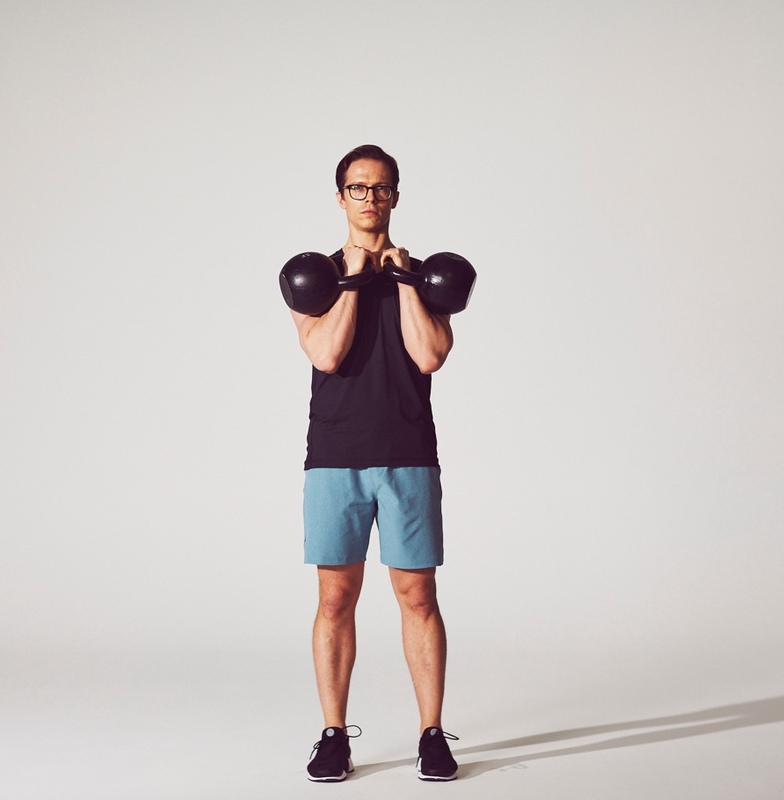 Pick up two bells of equal weight from the floor, one in each hand. One bell will be in the rack position, while the other stays at your side while you walk. When complete, place the bells on the floor before repeating on the other side. 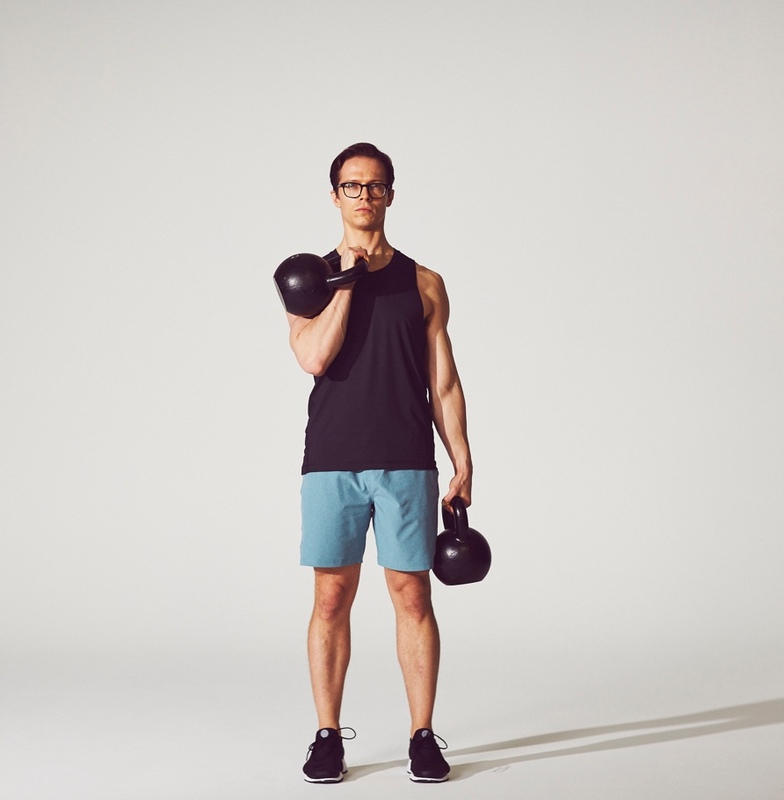 Pick up two bells of equal weight from the floor, one in each hand. Bring both to the rack position. Press one side up to an overhead position and walk. When complete, place the bells on the floor before repeating on the other side. Pick up two bells of equal weight from the floor, one in each hand. Bring both to the rack position, and walk. Keep your elbows tight to your body and your fists close together in the rack position. When complete, place the bells on the floor. Pick up two bells of equal weight from the floor, one in each hand. 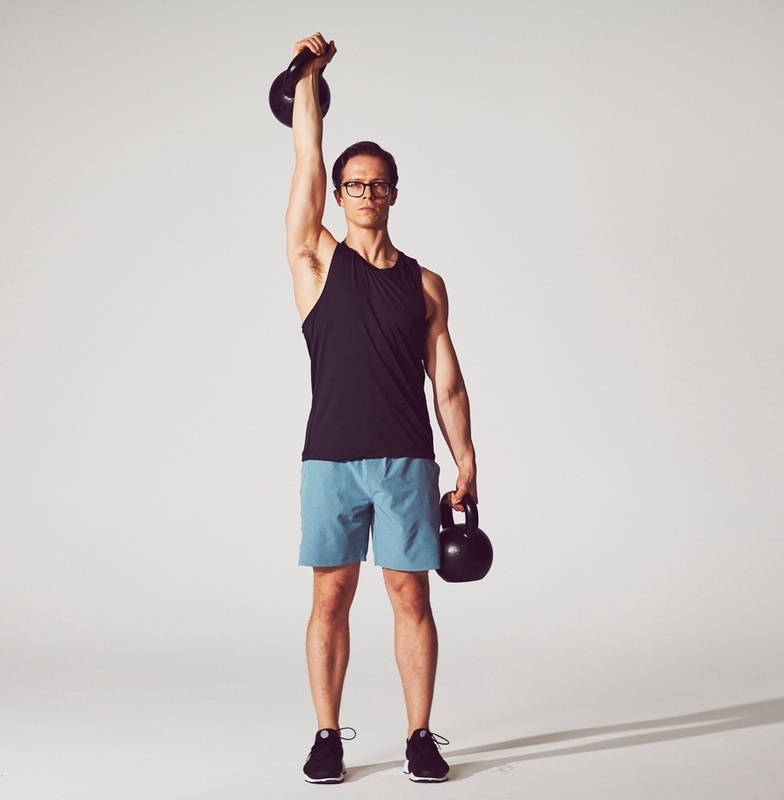 Flip them upside down, so that the kettlebell is facing toward the ceiling. Keep your elbows close together in front of you as you walk. When complete, place the bells on the floor. Pick up the trap bar from the handles so that the plates are at your sides. Focus on keeping your hands next to your hips as you walk. When complete, place the bar on the floor. Pick up the trap bar so that the plates are in front and behind you. Focus on keeping your hands next to your hips as you walk. When complete, place the bar on the floor. 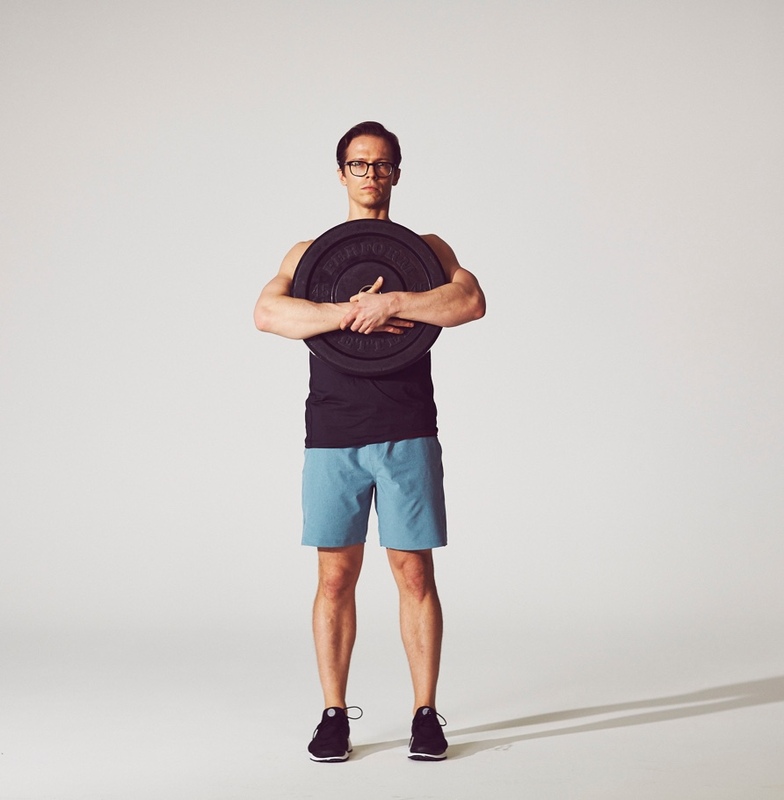 Pick the plate up off the floor so that it is hugged to your chest with your arms wrapped around it. Use the top arm to grab on to the opposite wrist or forearm. Hold the plate close to you as you walk. When complete, place the plate back on the floor. Switch which arm is in front with each repetition. Pick up the plate off the floor and bring it to one shoulder. Both hands will hold the plate at the shoulder while you walk. When complete, place the plate back on the floor. Switch which shoulder is loaded with each repetition. Pick up two bells of equal weight from the floor, one in each hand. Bring both to the rack position. Press one side up to an overhead position. Lower the other side from the rack position to hold it at your side, and walk. When complete, bring the overhead bell to rack and then your side before placing them both on the floor.